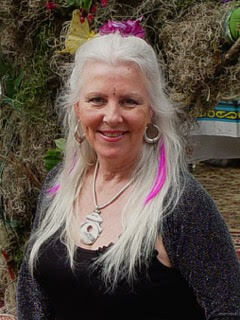 Jayne has been a professional instructor/facilitator for nearly 40 years. she has a strong background in sales, marketing, communication, leadership skills, motivational speaking and the arts. She is a clinical hypnotherapist, neuro linguistic programming specialist, master instructor, and an award winning speaker. She currently owns and operates two businesses, dancecraft and the crones jewels. Jayne was raised in (the bible belt) indiana on a horse farm. one side of her family were conservative bible thumping preachers, while the other side had farms scattered across central Indiana and were an integral part of the underground railroad, providing safe passage, accommodations, and supplies for slaves moving further north. her biological grandmother was of native american heritage. she moved to California at the age of 19, and lived in rural Mendocino county, California (hippie town-tree hugging, bleeding heart, as liberal as it gets) for over 35 years. she moved to the central gulf coast (red as red can be) of Florida in 2010. Patti has been an activist for women’s rights since she was 16 years old after seeing one of her friends almost die from having an abortion. She picked up her friend in the wee hours of the morning on a corner where she was dropped back off, almost bleeding to death. From that moment forward, she became an advocate for women. During the turbulent times of the Viet Nam war, you could find her marching in protest to bring our brothers home. This hit close to home for Patti, as many American had their young sons being sent off to war with little expectation of them coming home safely. BS in Computer Science at age 42 and completed MBA at 44. She also received her certification in Project Management with over 30 years of experience working with Tank Ammunition to Interceptor Rockets to Retail Project Management. Patti was originally born and raised in Florida. She has two daughters and two grandchildren.